Syracuse, known as a classic college and bar town, has been buzzing with multiple celebrity sightings. 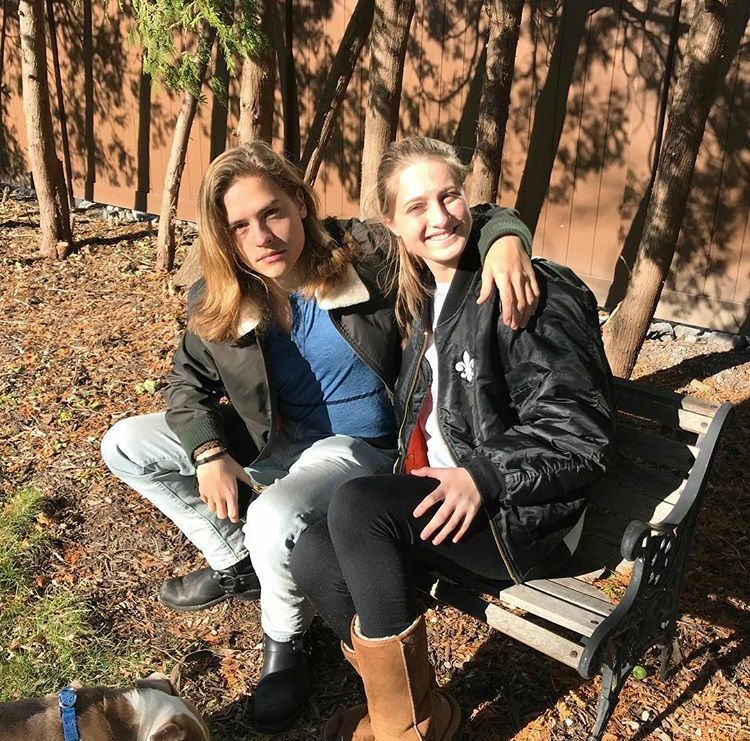 Things kicked off in November 2017 when there were sightings of Dylan Sprouse walking down University Avenue, grabbing a coffee in the Schine food court. Many students searched for him in hopes of meeting their childhood crush and some were successful. Yes, I got to meet Dylan!! Could Syracuse have a bigger announcement in place of that? In the cold Syracuse winter, no one would think to be on the lookout for celebrities running down Euclid; now, with winter past and the summer heat bearing down, Syracuse has become the perfect place for a movie to be filmed. While many movies could have and have used Syracuse as a filming location, one film was about to bring major celebrities to town and no one expected it! 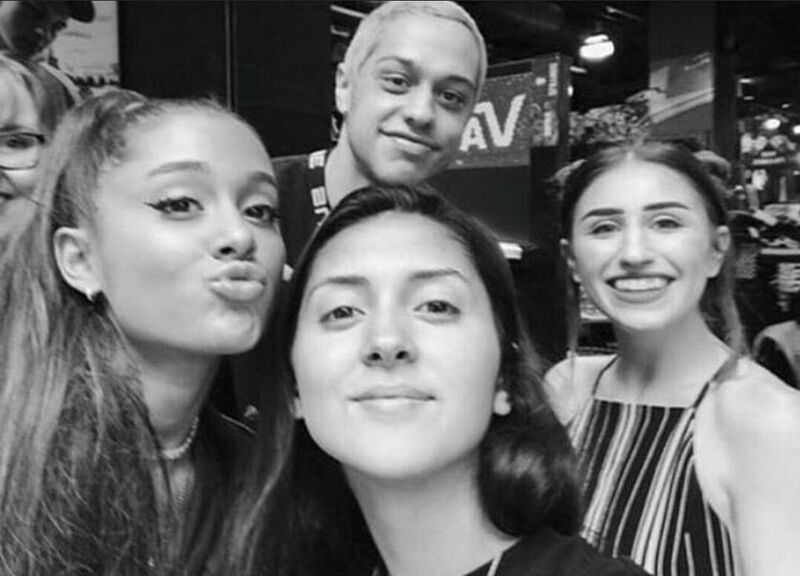 Months after running into Dylan Sprouse , we found out it was a possibility that Pete Davidson was going to star in a new movie titled “Big Time Adolescence”. To make this film a success, other stars such as Machine Gun Kelly, Sydney Sweeney, and Griffin Gluck would be collaborating with Davidson. The filming location? None other than our very own Syracuse, New York. Merely two months ago, many of you might not have known the famous “Saturday Night Live” star, Pete Davidson; however, his name is now swarming the gossip columns. After dating Ariana Grande for just a few weeks, the couple announced that they were engaged! With this news, fans determined that Grande was bound to follow her new Fiancé into Syracuse; however, many contested that she would be too busy with her own schedule to make an appearance. Despite her hectic schedule and after a few confirmed sightings in Syracuse later, the singer has seemed to have pulled it off. The first spotting of the couple in New York started off in Kirkwood, New York. 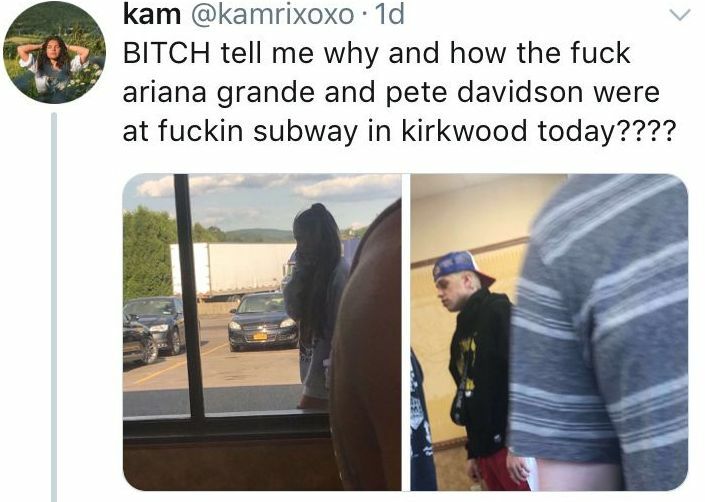 The couple was seen ordering at a local Subway. As shown below, it seemed like a casual stop before heading out to spend time together as a couple. Even on Twitter, fans were confused why such high profile star were in there town where nothing like this happens often. Accounts such as @kamrixoxo had much to say about the stars’ sudden appearance. Since then, the future Mr. and Mrs. Pete Davidson have caused a hunt to get a picture of the two in order to post on Snapchat or Instagram. Now, after making a huge appearance at Subway, one would think the couple would try to lay low for a little bit since everyone (fans, news sites, and the like) was on high alert…… Wrong! Days after,Grande and Davidson were spotted casually shopping at Destiny USA. Who knew they were just like us trying to get a new outfit for our Friday night plans? Some lucky fans got a picture with Grande and Davidson before they left to enjoy the rest of their time in Syracuse. With all the sightseeing done, it was time for Davidson to film the movie. After all, that is the reason that they are here in the first place. 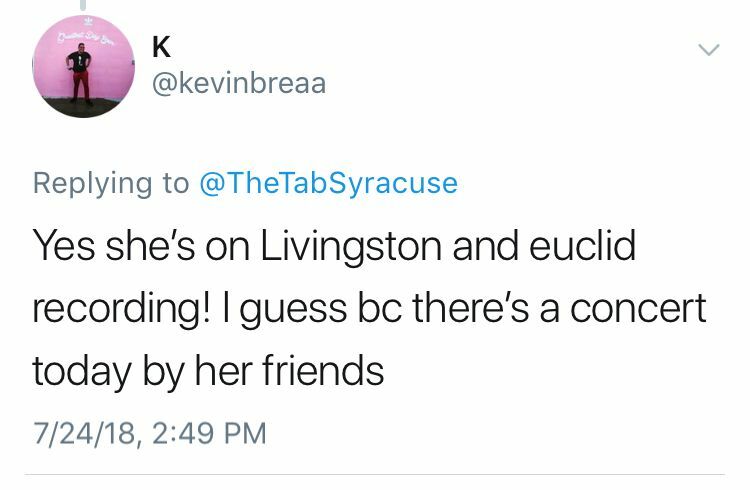 The first sighting of them near filming was between Livingston and Euclid, and surprisingly, it was Grande who was first spotted by fans It seemed like there was something being recorded and she also came to watch a fellow peer’s concert, according to a Twitter source. Later, corrected by a follower of The Tab, we found out that Grande came solely to support her soon-to-be husband. Also confirmed to be in the area was Machine Gun Kelly. 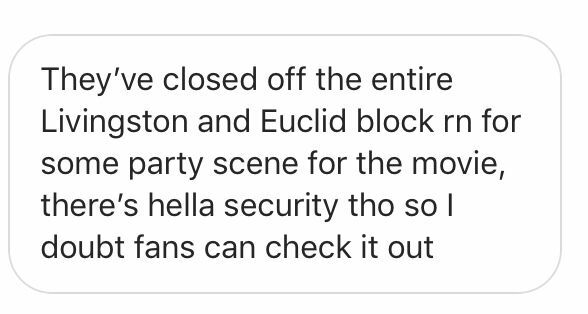 It was also confirmed that Machine Gun Kelly was also starring in the new film and there was no concert being held after all. That same day, Grande was captured on Snapchat running away from fans in a parking lot off Euclid. 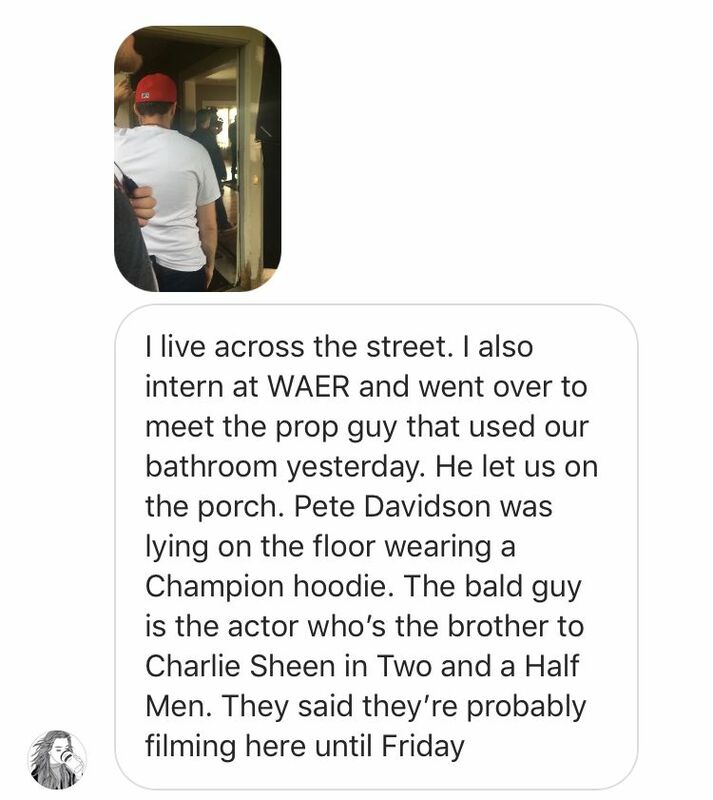 Not only have people spotted the stars outside of filming, but someone was able to get the inside scoop on what was happening during filming. 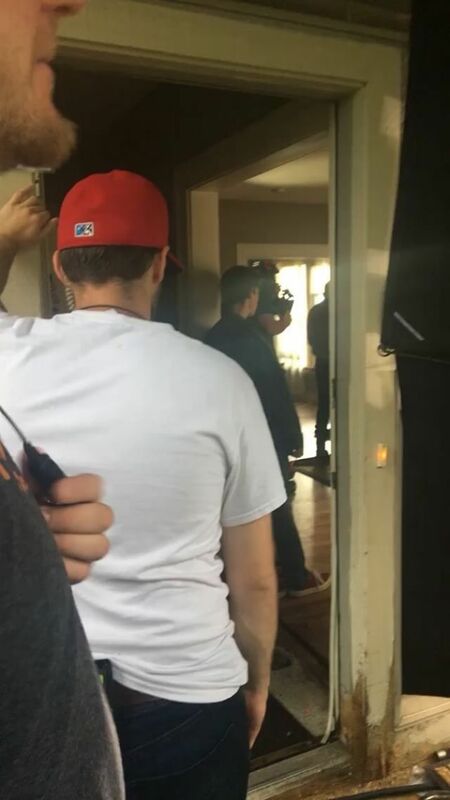 A follower of The Tab messaged the Tab’s Instagram, stating that he lived across the street and was was let inside by someone who was working props in the movie. It appeared the Pete Davidson was laying on the floor in a Champion hoodie. Not much was said about what was going on in the film, but the prop assistant claimed that they would most likely be on that location until that Friday. 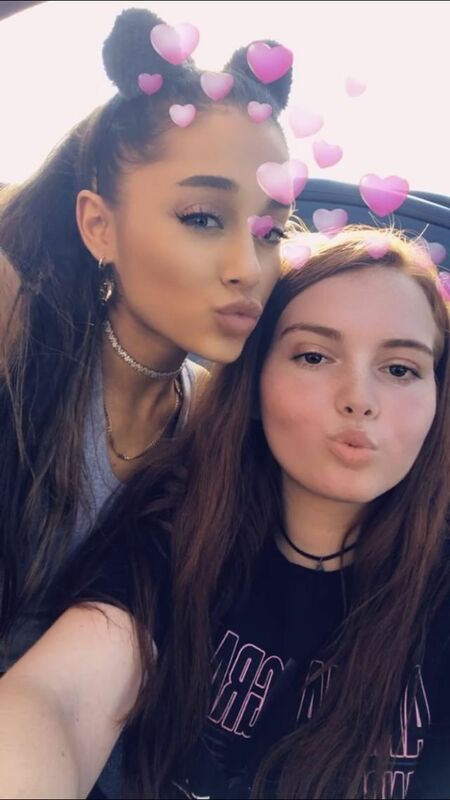 While fans were running all around Syracuse to find locations for the films, Grande was also spotted in the Wegman’s that most students go to when they are in need of some food; celebrities get hungry too!. She seemed quite relaxed as if she was a regular person who didn’t just put out two new hit singles. Now, the people that live around the University expect a few house parties during the school year, in fact, probably three a week at least. The summer months tend to be calm and quiet. Not this year! A house party was thrown for the movie in the film location and unlike a fraternity party, there was security all around the house. THIS DAY IS SO SURREAL. SHE IS SO FREAKIN SWEET. SOME PEOPLE WERE YELLING BUT SHE CAME OUT AND SHE SAID OMGG. SHE TOOK MY GIFTS AND WAS SAYING “Im LITERALLY BLIND” AND SHE SQUEEZED ME SO HARD. COURTNEY CAME AROUND AND SAID “WANT STARBUCKS” and ARIANA WAS LIKE YESS. WE HAD A REAL CONNECTION WITH HER. SHE IS SO REAL AND SWEET AND OMLL. NEVER GOING TO FORGET THIS DAY. I SWEAR I CONNECT WITH HER ON A WHOLE DIFFERENT LEVEL. WE HAD BEEN WAITING FOR 4 HOURS AND IT WAS SO FCKIN WORTH IT. They waited four hours to meet their idol. 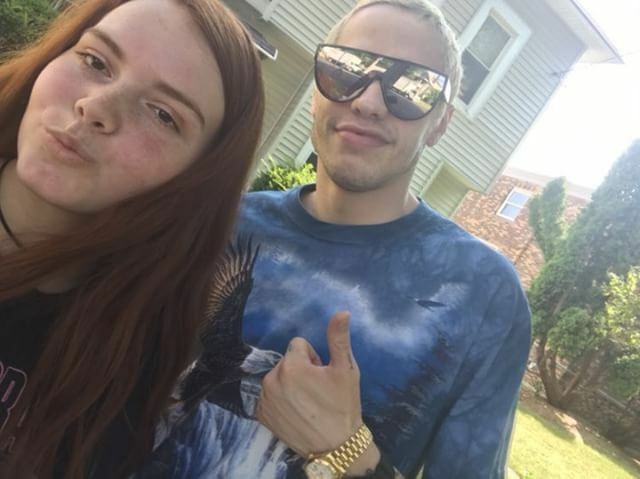 Lauren also grabbed a quick selfie with Pete Davidson. The last (known) sighting of the celebrities was reported by a Tab follower. A snazzy yellow that could possibly be a prop used in the movie was parked at the filming location on Euclid. Davidson and MGK were seen walking by the car and the Tab follower claims that he talked to them through his window. Allegedly, Machine Gun Kelly was showing Davidson the car and they seemed to be very down to earth; as stated below. The car was later revealed, by comedian Joey Gay, to be a treat MGK bought as a treat before returning back home. Since seen by the car, not many more interactions have happened by the stars, but there is more expected for the time they continue to film in the Syracuse area. 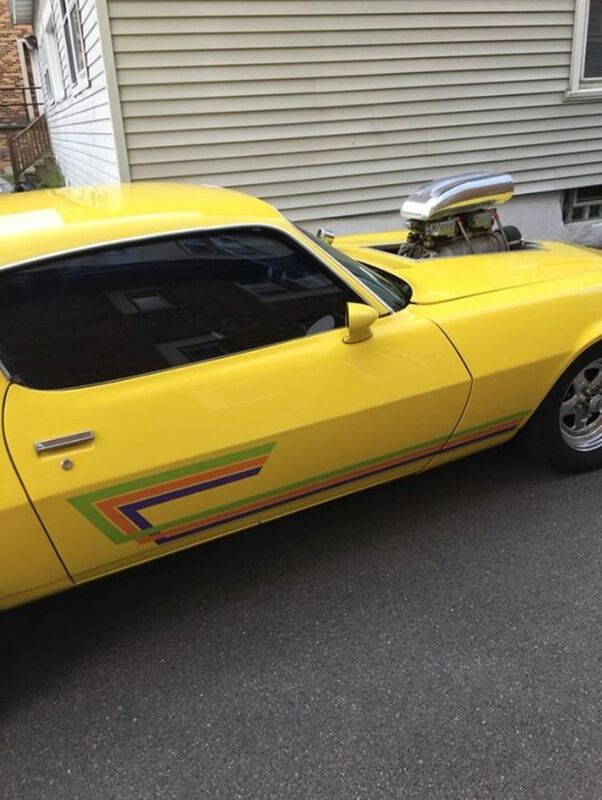 The yellow car MGK purchased was used in his new LOCO music video. The music video was shot in Syracuse and parts of the footage shows off places near campus, particularly Euclid Ave.
Keep watching the Tab Syracuse on Instagram for more celebrity updates and sightings!